Cactus Bar & Grill’s 6th Annual Oktoberfest Celebration! « Goose Island 312 Block Party! 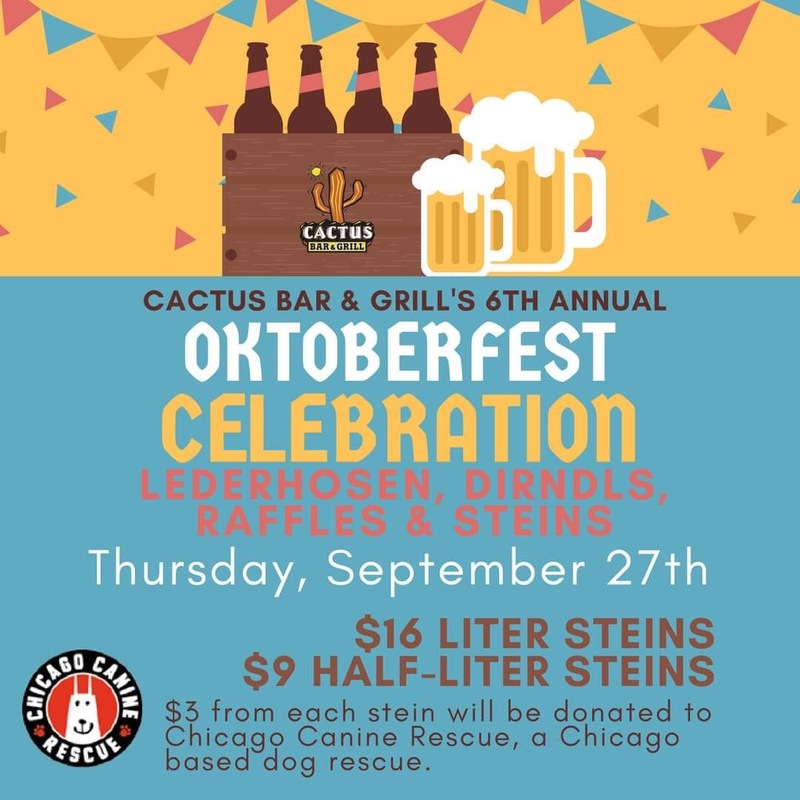 Join us at Cactus Bar & Grill for an Oktoberfest Fundraiser! Oom-pah-pah your way over and buy a stein to save a canine at our annual Oktoberfest celebration. We’re offering souvenir 5- and 1-liter steins for purchase. Fill your stein with your choice of Oktoberfest beers from Chicago, Germany and beyond. Proceeds from each stein will be donated to CCR! Stein sales start at 11am and are only available while supplies last, so get there early to make sure you get yours! Call Cactus’ events team at 312-922-8025 to make a reservation.